CUCI's first co-op and the first Mondragon-style union co-op in the country! Our Harvest creates access to healthy, local food in a way that honors land and labor. 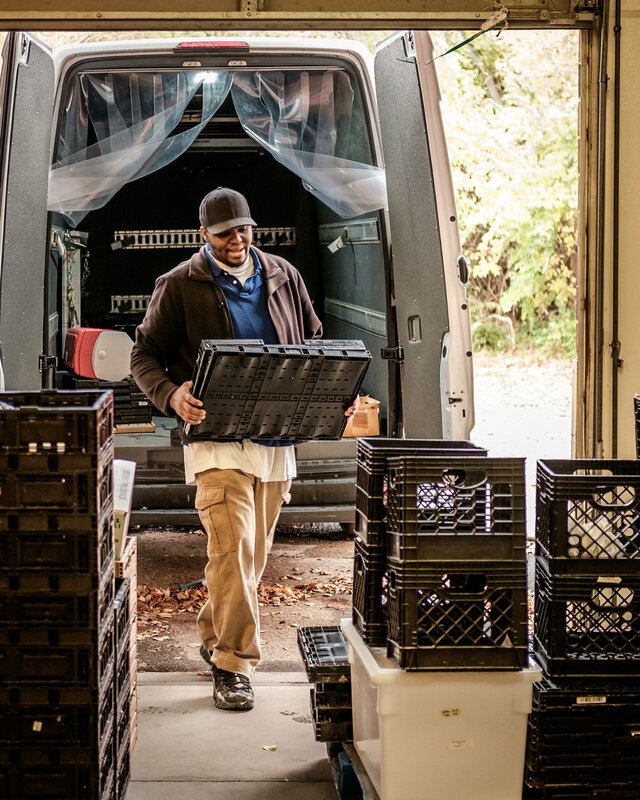 By creating farm jobs that pay family-sustaining wages, and employing responsible growing practices, we are working to strengthen the local food system in Cincinnati. Through strategic partnerships and advocacy we seek to make access to fresh, local food a possibility for all in Greater Cincinnati. Our Harvest runs two of its own farms and buys produce from over 20 independent local food producers and food artisans to sell veggies and local food products in three ways. See below for more information on how you can buy local produce and support Our Harvest and the local food system it is trying to create and support. Learn more about Our Harvest at ourharvest.coop. The Weekly Harvest Box is a convenient way to bring fresh, local food to every meal your family enjoys. We have many convenient pick-up locations around Greater Cincinnati for you to choose from, and offer a small, medium and large box size to meet the needs of everyone from individuals to large families. Sign up now for a Weekly Harvest Box. New sign-ups start the first week of June! For more information, visit ourharvest.coop/harvest-day. The demand for local food has never been greater than it is now and its local farms, local chefs, and local grocers help keep our community connected to the unique flavors that make Cincinnati a foodie-friendly city. At Our Harvest, we strive to make it as easy as possible for you to provide your customers with the freshest, most flavorful produce available - all at a competitive price. Login to your wholesale account to find local: vegetables, fruit, beef, pork, chicken, turkey, cheese, eggs, coffee/tea, granola , salsa, pasta sauce, soup, and salad dressing. For more information, visit ourharvest.coop/partner-with-us-retail.